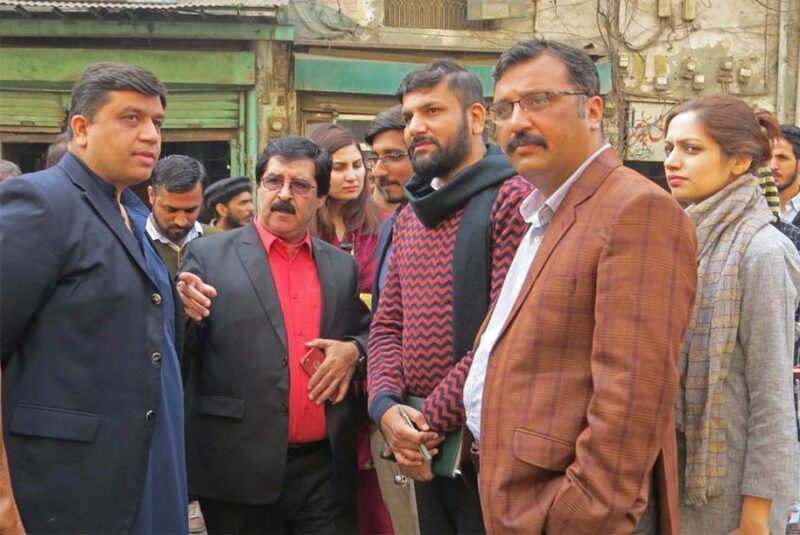 To ensure state-of-the-art cleanliness at union council level, Albayrak team led by GM Operations Albayrak Osman Nuri and MPA Aajasim Sharif paid surprise visit to Gawalmandi and monitored cleanliness operations in adjacent localities on Tuesday. Few days ago, MPA Aajasim Sharif had expressed his reservations about waste management operations in Gawalmandi. Following that, Albayrak had deployed additional resources in the area. Today, the senior management of Albayrak along with the LWMC officials visited the said area and participated in an ongoing cleanliness awareness drive. The waste management officials distributed pamphlets and requested the citizens to cooperate with the field staff by placing their garbage in the waste bags. Speaking on the occasion, the GM Operations Albayrak said that Albayrak had gone an extra mile to improve the cleanliness situation in the city. During the past one month, Albayrak had placed additional 500 waste containers, deployed 75 extra sanitary workers and distributed 70 additional handcarts in the city. However, Lahore could not be cleaned without public cooperation, he added.